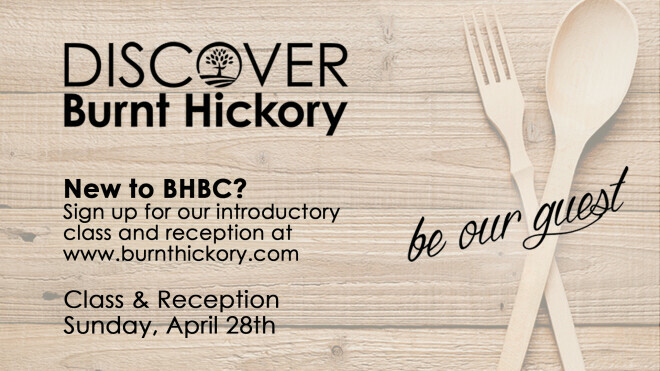 Our Discover Burnt Hickory Class and Reception is held several times a year in the Connections Room (2nd floor) from 11am-1:15pm. Check-In begins at the Connection Cafe' at 10:45am. From there, everyone will move to room 286 for our 11am informational meeting. Your children should remain in BHBC Kids and Radiate at this time. At 12pm, we will break and move to the Connection Room for the reception. Children will stay in the BHBC Kids area and Students should meet their parents for the reception. During the reception, you will meet the pastors and staff, their families and learn about their ministries. We will conclude at 1:15pm, at which point you can make your way to the BHBC Kids area to pick up your children. Please call the BHBC front office at 770.590.0334 if you have questions or wish to register over the phone. Please note that online registration will close at noon on Thursday, April 25. If you would like to attend after registration has closed, you may sign up the day of the event at 10am upstairs outside the Connections Room in the cafe.